“A Horse With No Name” is a song about finding an existential epiphany after a trip through the desert. When he wrote the song, the 19-year-old America frontman Dewey Bunnell had to rely on vague memories and ideas of what the desert was even like. When he was a kid, Bunnell had lived on a California Air Force base, where his father had been stationed. He’d loved riding through the New Mexico and Arizona deserts with his father and his brother. But by the time he wrote the song, Bunnell had been living outside London for years. The desert was an idea, a pure abstraction. You can tell. America, it should be noted, is an absolutely ridiculous name for a band. Bunnell and his two bandmates, Dan Peek and Gerry Beckley, were American kids. All of them had fathers in the Air Force, and all of those fathers were stationed on the same base. (Two of them, Bunnell and Peek, had English mothers.) Bunnell went to high school with Peek and Beckley, and they bonded over the shimmering, heavily harmonized folk-rock that was coming out of California. When they started a band, they called themselves America because they didn’t want anyone to get the idea that they were English kids trying to sound American. Instead, they were American kids trying to sound American — trying so hard, in fact, that they called themselves America. 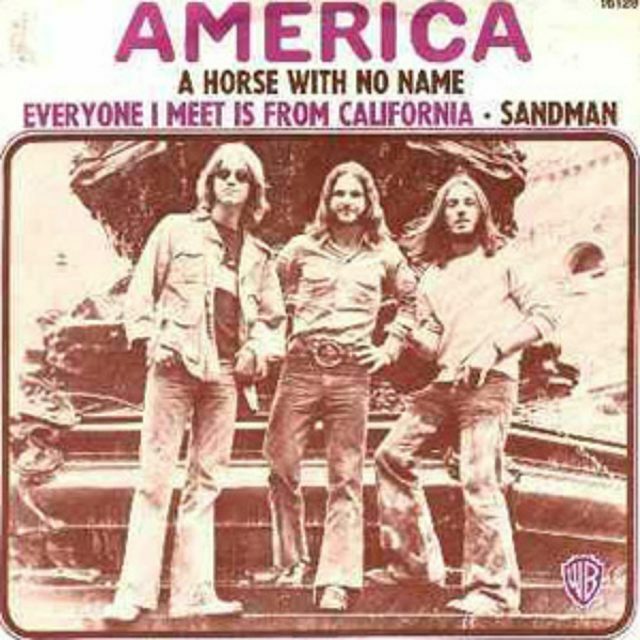 The band hadn’t thought much of “A Horse With No Name” when they recorded it. They figured it would be a fun little novelty, that it was too weird to be a big success. 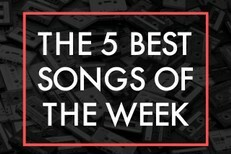 But where a song like “I Need You” is hazy and generic, “A Horse With No Name” is hazy and memorable. It raises immediate questions. Like: Why does the horse have no name? And: Is it because the horse is really heroin? The horse is not heroin, at least according to Bunnell. Years later, he said, “The central theme was ‘solitary thinking in a peaceful place.’ The horse was really just a vehicle to get out there.” That kind of sounds like heroin! But it also sounds like an American kid in London, staring out rainy windows while listening to sunny American music, dreaming of a homeland that really only existed in his mind. It sounds like one big cauldron of homesickness and nostalgia and hero worship. And despite all that — the dumb lyrics, the distracting Neil Young similarities, the fact that Bunnell never gives the damn horse a name even after nine days riding the thing through the desert — “A Horse With No Name” works. There’s a warm, cloudy sense of mystery to the song. The band (and the session musicians who filled out the song) play with a real confidence. It’s full of neat production touches: murmuring bongo drums, a politely meandering bassline, a darting-hummingbird dual guitar lead that nods to flamenco without giving into it altogether. The harmonies add a mythic out-of-time quality even as they imitate what Young’s buddies Crosby, Stills & Nash were doing at the time, and the arrangement builds to a pleasant swirl. Those la la las say more than any of the actual words Bunnell writes. “A Horse With No Name” never sounds like the desert that Bunnell might’ve been imagining. Instead, it sounds like a dream, which is what it is.